I hope Microsoft fixed everything in this version as I’m getting a bit tired of installing all these Windows 7 releases :-) to be honest though is not the actual Windows installation as that takes only about a half an hour and it needs your input only on a couple of things, but installing all the other drivers and apps, and lastly to customize things as you prefer. Finishing the installation from a DVD-RW, you need to connect it to the Internet through the Ethernet cable and that should install about 6 updates: Atheros Wireless driver, AuthenTec finger-print driver - a nice addition Dave spotted earlier, Intel 915 chipset driver, ATK Input ACPI utility and a couple of IE8 related updates. There’s also an optional Realtek wired network driver, checking that box as well. 38 MB worth updates and a reboot later, we have a nice and slightly slow R2H running W7 :-) only messing, doing the above will make it snapier without much loss of the actual W7 experience. Working fine, it needs calibrating. Same as before, the output doesn’t switch automatically from headphones to speaker, install ASUS Audio driver for Vista v6.10.1.6030. Not installed by default, detected as USB2.0 Camera, install ASUS drivers for Vista v6.32.0.04.2 (if you don’t have a Bison webcam user your Vista driver or download the appropriate one from vip.asus.com, they explain which driver to download based on hardware IDs). Some may find interesting, Dave reported earlier he uses ASUS SmartLogon for face recognition for logging on in W7 (no download link just yet, google yourself for “ASUS SmartLogon download”). Same as before, install the ASUS Touchpad driver for Vista v9.1.5.0 for better sensitivity and click on push. Works fine out of the box, there is a newer driver through Windows Update. Same as before, works fine with the default driver, the ASUS Wireless Console for Vista v2.0.8 needs though the ASUS Hotkey Utility v1.00.0012 to be able to enable/disable the device and to get the wireless hardware button working. Works fine, use the Device Switch utility for Vista v1.0.0.1 to enable the device. Driver is now delivered through Windows Update, go to Control Panel > Biometric Devices to enable and register your fingers. Install ASUS Hotkey Utility v1.00.0012 then install ASUS Settings Center v1.6.7.115, then reboot or at least logoff and then log back in. Same as before, brightness and volume work ok, for resolution you need the ASUS Intel Graphics driver for Vista v6.14.10.4764. Note: I couldn’t get the resolution to switch I changed output to Single Display: Notebook from the Intel Graphics Media control panel. The application flickers a lot when you click Ok / Apply, best to use the Enter key on the 15 second OK button otherwise clicking with the mouse it might not work and reverts back to previous settings. I noticed Hibernation wasn’t available as an option until I installed most of the drivers above – probably one of them wasn’t fully supporting ACPI, I don’t know exactly which one… Resuming for hibernation is fast as in previous builds. Haven’t had any problems, except for a message popped up twice about a “USB device not recognized”, but that may be specific to my setup, when I used it at my desk I connect everything through a hub, including a Thermaltake Mobilefan II, which probably doesn’t send any information back to Windows, just powers from the USB port. Thanks for doing the effort of installing it again. I'm first going to install this release on my main system at home. Actually he installed it first, made a couple of comments on the other post, he seemed happy enough with a small couple of problems, that I haven't tested before - the touchscreen still works although the "hold" button was on and something about the when shutting down in a large resolution, on next boot the desktop scrolls. Sorry for forgetting that Dave! I noticed that scrolling on build 7057 as well. Sorry Dan, I didn't see this post... thanks for the mention though! Rudi, have you experienced the issue with changing the resolution, restarting and getting a scrolling desktop? Do either of you know whether I should be installing the ASUS Pen disc that comes with the R2H? On an ASUS build it's installed as standard, but does it do anything? I don't have a pen, only a touch screen stylus. Can you get the propper pen jobs for this machine? Do either of you two have it?? On the touchscreen issue, I would recommend posting something on vip.asus.com forums or even contacting support. I don't have Vista anymore to see if it worked there, it may be specific to W7 - I think we should run this first by ASUS and then maybe go report it to W7 dev. InfoPen, that's the one. I got a disc for it but never had to use it as my Vista recovery disc installed it anyway... Did it actually do anything? Rudi, have you used it? The second issue with the resolution is something I had with Vista and now W7. I don't know if it was there with XP??.. I'm somewhat dissapointed with the RC. (at least on the R2H) Much slower than the original beta, and there is a noticable delay when inking in Journal or OneNote...so much so that it becomes almost unusable. Didn't have that delay in the original beta or in XP. Guess it's time to start tweaking! I'm sorry for not responding earlier. It's been very busy at work! Next to that I've installed the RC on my desktop at home and I found a new bug somewhere. I'm not sure if it is specific to Windows 7 RC, but that is the OS where I experienced the problem. The hold key does block my touch screen. But if I put it back touch doesn't work anymore. It's not completely working perfect. I only use it when shutting down the system. I don't use hibernation as it requires a lot of disk space. As soon as I have some time left I'll install the RC as well. I found it marginally slower as well than in previous builds, but once you do a little bit of tweaking it gets back to acceptable levels. For the IE issue, go through the addons and maybe disable a few Live related (Tools > Manage Addons), maybe the rendering will get back to normal. Also might want to try the website in compatibility mode. Of course I already reported the problem :) The first response of Microsoft was:"Well, you're using Windows 7 and we don't support that as it is in bèta". I found that very disappointing! I reinstalled Windows 7 (all other options such as reinstalling IE8, disabling all add ons, resetting internet options, compatibility mode failed) and found that this specific Microsoft Office Live add-in 1.3 was causing the problem. I've mentioned this to Microsoft as well. I also mentioned that I was very disappointed in their first response. Which team did you report the issue to, IE8? Well, I wonder if the same issue happens with IE8 + XP or Vista, then they might listen to you. I contacted customer support. I'm hoping they have their internal communications arranged so that my questions and remarks end up at the right desk! I'v sent my remarks on how the problem can be solved and I expect a response on that today. @ Dave - Hey matey, I've not noticed the speed difference from Beta to RC1, do you have any other applications that you've put on that may be reacting differently? @ Rudi - I do like the way that software developers tend to say "Sorry, no support as it's in Beta"... surely that's the time when the support is needed the most to get the end product right!! He mentioned Journal and OneNote - it might be just because the system is swapping a lot, I've never used OneNote so I wouldn't know huch much memory is actually using, might be interesting to check the memory used/available when having the problems. No other applications that I didn't have when running the original beta. I've gone back and done most of the things Dan suggested in an earlier post to tweak the system and overall it's a little faster, but still the problem with inking in Journal and OneNote - as I'm writing, there's a delay before the letters show up. Interestingly enough, this delay doesn't seem to be present with the TIP. This delay was not present in the beta version. And now a new problem... Every once in a while (and I can't see anything I've done to cause this to start, or anything that is consistantly happening when it occurs), I'll get a "USB Device Not Recognized" error, and the touch screen will stop working. Rebooting will fix the problem. @jmdrizen: I'm a developer as well. If I release 3 modules of which 2 are ready and tested and 1 is the newly to be tested module I'm not going to whine if somebody finds a bug in the 2 modules that are ready. I'm not going to tell them that I cannot fix their issue, because 1 module is not already finished. Sometimes I also get the notification that a USB device is not recognized. It doesn't really cause problems for me. I know...I work for a worldwide company with 170.000 employees. I still try to be as much client-friendly as possible. I see this being more and more important when I am promoted to levels where I have more client interaction and less programming to do. I mailed Microsoft that I would like to add some information to my previous issue. I also wanted just to complain, that I'm not happy with the fact that they immediately point to Windows 7 as being the cause of the problem. An answer was to be expected within 1 working day. I didn't get an answer....instead I get a markt research E-mail... mentioning me, that the service request has been closed and asking me to fill out a survey on the customer service. Bett ya I'm going to fill out that survey! Any one tried 7127 yet? Or know what the revision log is for the changes?? Dave/Rudi, this might have a solution for your Office issues..? Btw, I don't know if you guys have subscribed to MS Exploring Windows, but apparently this is the place to post your W7 problems. Pfff... Problems with my media center again. Running build 7100. I don't think I will be trying a new build soon. "Can't find partition" (something like that). So I guess I'm off installing Windows 7 again. I did save a backup of my boot stuff. Is there an easy way to put that back? By the way: I don't have any Office issues anymore. It was just something I didn't really need. you could try restoring the BCD store using the W7 recovery command line, bcdedit /import see below. That's pretty bad, there were a couple of test updates in the last few days, I don't see how those could've broken your boot... did you run the other OS lately? I hope you get this post. Do you still have problems with high DPC usage. 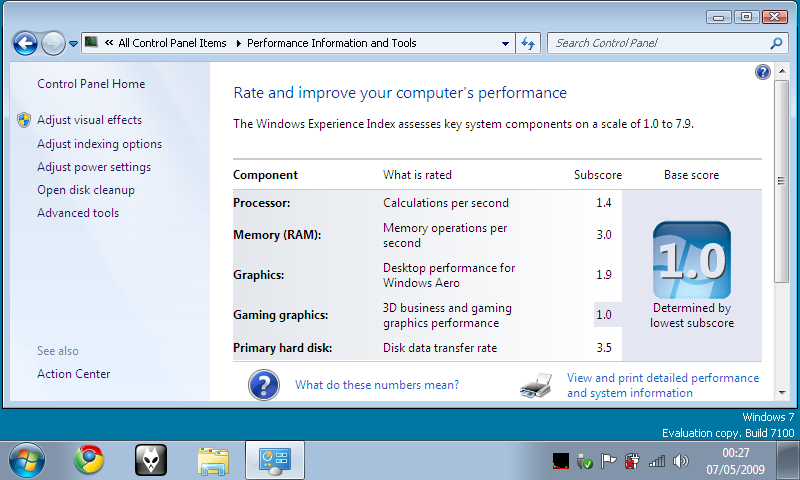 I am struggle to fix this problem with Vista, Windows 7 Beta and now the RC. It has been with me for years and i have yet to solve the culprit for it. One thing is for sure: Win7 definately is hard on your boot-stuff. On the other hand perhaps I messed it up myself by giving it a hard reset while it said it was "repairing". I just wasn't in the mood to wait for today, see that things went wrong and have to install it again anyway. To be honest I haven't had much problems with W7, I notice high DPC usage say when transfering files through FTP, so I would blame de wireless driver really, maybe when it has to deal with lots of transfer packets. Lately every now and then my touch screen stops responding. It seems as if it is having something to do with Windows Media player. If I log off/log on, put it to sleep and wake it up or restart the R2H everything is working again. For the time being it is ok, I was just wondering if somebody had the same issue. I can't wait until the 22nd of October! Then Windows 7 will be finally released! I have subscribed for an MSDN subscriptions account, so I can download a Windows 7 version. It only happened to me once or twice, but I'm not using Windows Media Player - I would search the Windows 7 forums to see if other people are having the same problem on other tablet PCs if not R2H. I don't think the problem is media player related. I've put it on the Windows 7 forums as well. Let's see what happens! Anyway, I will probably be able to reinstall on the 6th or 7th of august since Windows 7 RTM will be available for MSDN subscriptions as of then. It has already leaked :) Quite a lot in fact. I think the problem with the non functioning touch screen is solved. I had installed a recommended but optional driver for the fingerprint scanner. I've uninstalled this now and haven't got the problem since. I will continue testing. On the other hand the Asus T91 is available in the Netherlands. If it becomes available with GPS and 3G module, I might switch to that one. That's good news. Looks very good, good luck! I have Windows 7 RTM. Hope to install it this weekend. Further I was able to download a copy of Microsoft Mappoint 2009. I'll give that a go as well. Nice, lets us know how it works! Yeah, let us know Rudi. Still I need to uninstall the fingerprint reader drivers; otherwise the touch screen will stop working every once in a while. And I am having some difficulty in synchronizing my HTC Touch Pro 2. But that is more a problem of Windows Mobile Device Center I think! Hi guys...posted this on the Asus forum... Perhaps useful for others as well! I ran into a problem with my Asus R2H and I would like to share the solution with you. I was running Windows 7 Release Candidate. And all of a sudden every once in a while my touch screen wasn't accepting touch input anymore. So, everything worked except for the touch! After a reboot, log on/log off, sleep/wake up everything was fine again. After experiencing this problem for a while and almost giving up on the R2H (because it is getting old for a notebook!) I remembered installing a Windows update for the fingerprint reader. I removed the fingerprint reader drivers and did not install them again and everything was fine! Never had a problem again! Now, since I have an MSDN subscription, I already have a legal copy of Windows 7 RTM. This requires additional caution! The fingerprint reader is automatically installed! Removing the item from the list in the device manager or uninstalling the drivers will not be sufficient as they will be reinstalled automatically. Windows does this on the background, so one doesn't notice it! From the Device manager one shoud "Disable" the device. I hope this helps other people that are experiencing this problem! Thanks Rudi - personally I don't use the fingerprint (disabled as well), which probably explains why I never had that problem). Actually I lost once the touch when resuming from Hibernate, luckily the thumbstick came to the rescue! The synchronizing with the Touch Pro 2 worked out in the end. There where just way too many items. Further on the first occasion where I had the resolution to 1024x600 and restarted the screen required scrolling again, but on another occasion after the restart it came up correctly in 1024x600 again! I only noticed this when I was in the car, so I wasn't able to figure out how this exactly works. Further I don't do a lot in 1024x600, so I will not be running into this often. One thing I still dislike in the Windows 7/R2H combination is the fact that no WDDM drivers are supported. Not that I really need the Aero Glass effect (however, it would be nice), but I dislike the fact that I'm stuck with the standard "grey" Windows 7 taskbar. I would guess that's the place where most R2H owners meet, it's a good idea. "grey" taskbar? to me it looks like a blue-metalic-silver kinda looking, I actually like it a bit, don't mind the transparency, I only like it to be a bit snapier on the graphics side, but I don't seem to get that from my Intel G33 either, so I'd say that must be something in the central UI part of OS. On the bright side, it seems be a little bit faster on the memory / thread management compared to XP, certan processes seem to startup / work slighly faster, even without Superfetch. I would just like to have some more colors. No need for glass effects at all! This is not really giving me the expected results or the results that I was hoping for! I undid the procedure and my R2H is starting up again, but I wasn't too fond of this hickups! Yeah I tried once one of those Aero enabler hacks and it locked W7 so I kinda gave up. Does anybody here use MSN on their R2H? Every now and then Live Messenger disconnects and connects again. I thought this was because my internet connection isn't that stable. However a while ago I had the R2H on my network. While on my R2H MSN disconnected and reconnected again the MSN on my desktop was still connected. I'm really getting tired of this. Anybody know a solution? I don't know if it's R2H related - just had some strange issues this weekend with Windows Live Messenger on my work laptop (Windows XP), it just happened that I was connected to the person on TeamViewer and I saw her screen as well while talking on the voice. At times I was loosing the voice connection and appeared that the person signed off. I asked the person to logon again and was still not showing up to me. I had to logoff and logon myself to be able to reconnct the voice. It may have been some service problem rather than anything to do with your R2H. This is something different I think. The problems I am experiencing are there for months. (Also with the build version of Windows 7 and XP). Just recently I got the idea that perhaps it is not the cell phone connection, but the R2H itself. Couldn't say really Rudi, don't use MSN Messenger on R2H at all, and to be honest on none of the Windows 7 machines - I plan to install it this weekend on my work laptop though where I use WLM, let you know how it goes. Rudi, I believe if you go into WLM Tools > Options > Connection (tab) > Advanced Settings (button) > Save a log of my server connections... (checkbox). There's also a View log button. Maybe it helps you trace the cause of it. I'll look into it. Probably it'll tell me, that the internet connection got lost...but we'll see! this new OS! The Asus is really running pretty smooth with it! all the previous builds. A solution is available as well. SoundMAX Integrated Digital HD Audio by Analog Devices. On my Asus R2H I use tethering from my Windows Mobile phone to have internet connectivity. I have been doing this on the T-Mobile network with the following phones: T-Mobile MDA Pro, T-Mobile MDA Vario III and a HTC Touch Pro 2. I have created the internet connection sharing connection both through bluetooth and trough the USB cable. This works in most cases. But every now and then I see MSN messenger (all versions that I have been running) on both Windows XP and Windows 7 being disconnected and reconnecting again. So, every now and then either the internet connection or the network connection between my Asus R2H and the mobile phone is closed. Now, I have alway "blamed" T-Mobile for this. But recently I saw this issue as well while I had my R2H connected to my home network through wireless as well as through a cable. Other computers on the network were not experiencing problems at the same time. Does somebody have an idea on what may be wrong? I'm suspecting the Asus to just shut down the connection and I have no clue to why this would be! All possible help would be very much appreciated! Dan, I did enable the logging of WLM, but I wasn't able to find a relation between the disconnecting and something in the logging. I don't know what to say, there's a new version coming out soon maybe try with that one, see this. Perhaps it IS Windows Live messenger... I've installed Office Communicator on the R2H as well now and it has been stable for quite a while. I also updated WLM to this latest version you linked to. Same result for that. Would be really comforting if this is a WLM problem instead of a "faulty" device! It really seems to be MSN on the R2H which gives problems. The exact same MSN version on other systems has never resulted (and still doesn't result) in any issues. Now I'm using Pidgin and the first test results look promissing! I was wondering if other people use the R2H as well to stay signed in for longer period and if that works without automatic unwanted sign outs. I can ask this on other forums, but all I see is a lot of people reading the thread and nobody responding to it. 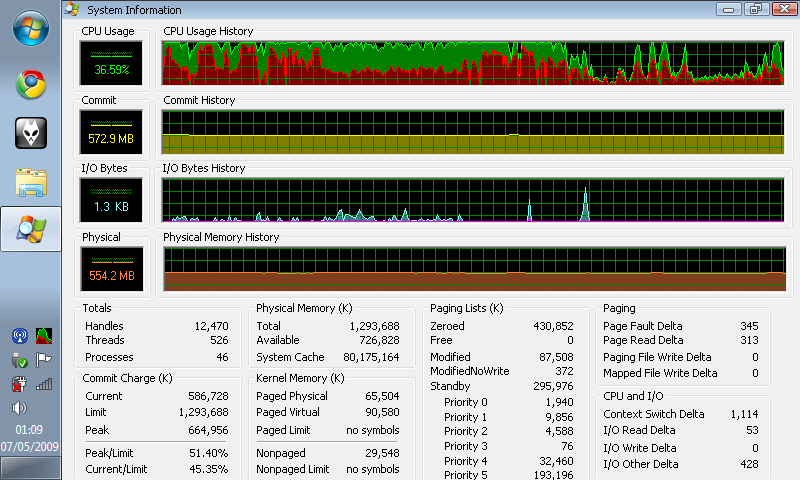 Rudi, R2H has a pewny CPU and MSN Live could be too much to handle, you could use tools like Process Explorer and keep it in the tray to see the CPU history, it might disconnect when CPU goes high for a while. Pidgin might be easier on the resources, cause in the end, it uses the same servers as Live Messenger, the presentation is different. Again a very good suggestion! Pidgin also had no connection for a few times now today. But fortunately the message here is something different. Here it says that the server cannot be reached. Did you find any further information around WLM? l am able to connect with my normal wifi connection, but when teather using my rooted T-Mobile branded HTC Dream (G1) it refuses to connect. I can connect to the web, but can't get passed the sign in with Messenger. Also, have you been able to find out more about the resolution, and a way to stop it scrolling, or reset it automatically at power down? Ideally, would like it to stay in an X by 600 resolution and not scroll ever! I finally get round to re-installing the latest release of W7, and must say I am LOVING IT! The Ink feature is picking up my messy hand writing perfectly! Is there any way I can get the GPS setup to work on load without having to run the switch application? Dont suppose you know anything further about the resolution issue? As Dave suggested, connect your R2H through the Ethernet cable and run Windows Update, that should install a few things, one of them being the Wireless driver and it should also suggest installing the Fingerprint driver as well, maybe the video driver as well. You don't need ASUS Security Center anymore, the fingerprint sensor is supported under a new Windows 7 biometrics framework. Maybe read the other posts in the R2H and Windows 7 category. A bit late into the party, but my R2H keeps going on and on... I have it since 2006 and it is still working fine. Never had to format it. I thought that maybe it was time to upgrade it to Win 7 and your post & comments have been very helpful: I installed a 2Gb memory card, it works fine with it; I had "Spanish" as the installation language and couldn't find the "Biometric devices." Since I installed Win 7 Ultimate, I switched to English and the "Biometric devices" appeared. So the fingerprint login is working fine now. Two years ago I decided that when the R2H fails, I'll go for a new tablet --2 years later and I'm still wondering when is it going to fail. It's a great product.